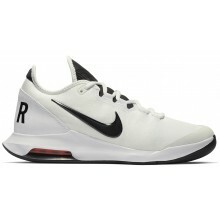 Discover Nike tennis shoes on Tennispro.eu as there are many used by the famous dynamic duo Nadal and Federer ! Dimitrov, Kyrgios and Pierre-Hugues Herbert have also chosen these men's Nike shoes to enhance their performance ! 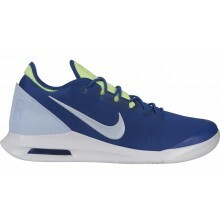 These Nike clay shoes and Nike shoes for hard court surfaces are all available on our website, tennispro.eu. Choose a pair of men's Nike shoes and unite style with performance. Whether you are looking for support, comfort and dynamism, the American brand will meet your expectations. Available in clay, hard court or even grass soles, the range of men's Nike shoes is extremely large and the shoes are available in new colours every 3 months on the Tennispro website. The legendary Nike Vapor (Air Zoom Vapor 10 following the Air Zoom Vapor 9.5) worn by Roger Federer unites comfort and energy. This shoe is ideal for quick players. The Nike Zoom Cage shoes are optimal for players seeking support during lateral movement. The Cage shoes are for modern and physical players, very similar to their ambassador, Rafael Nadal. 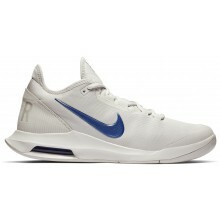 For intermediate level players, Nike developed two models that offer excellent value, such as the Nike Air Zoom Resistance shoe. This product is perfect for players who are looking for solid and stable shoes. Meanwhile, The Nike Air Zoom Prestige shoe will be an ideal ally for players who are quick and agile on the tennis court. The most well-known Nike technology is the Nike Zoom Air system found in the heel to optimise cushioning. The different lacing systems are also very positive assets for Nike shoes. Indeed, the Flywire cables or the Dynamic Fit system are available on different models. The Cage shoes benefit from resistant material called Drag-On, which is found on the vamp.